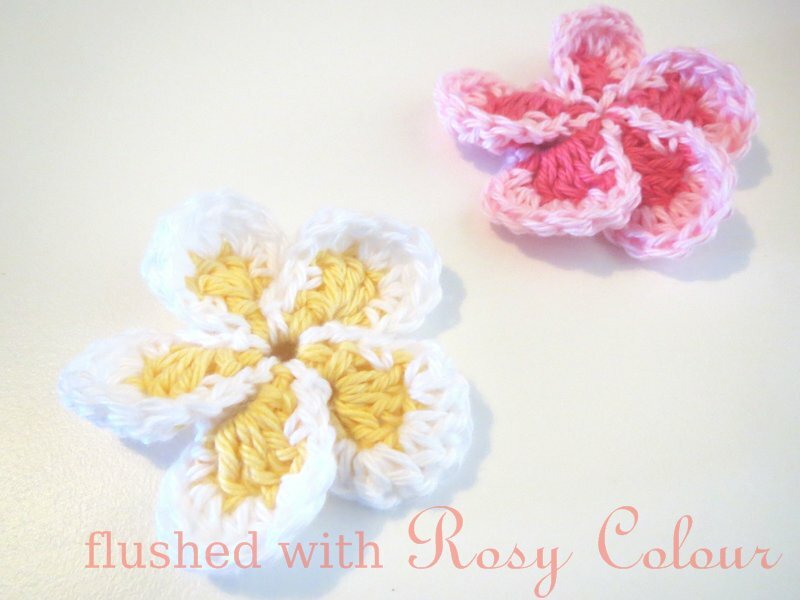 Flushed with Rosy Colour: Making Crochet Rugs is good therapy! 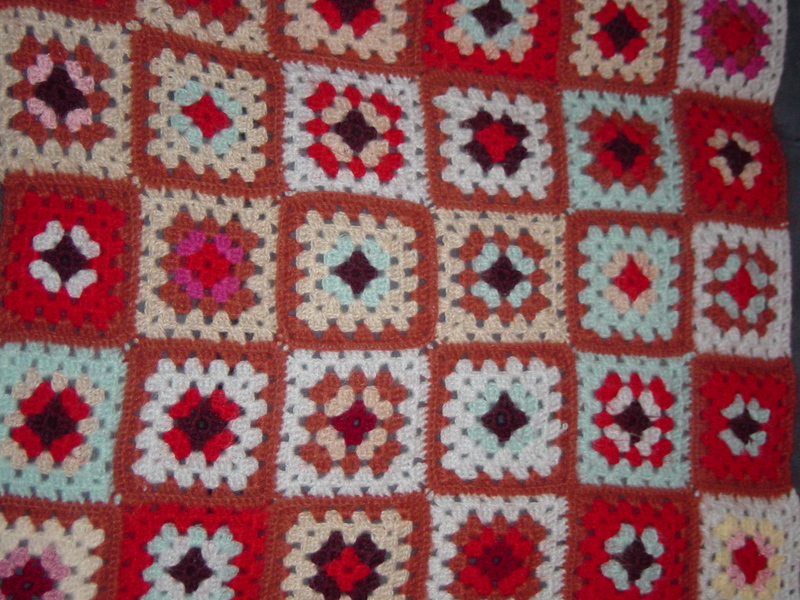 Making Crochet Rugs is good therapy! So far, I've made 3 small rugs, as they take quite a while to do, but making them is excellent therapy! Thousands of dollars can buy you a considerable amount of good therapy, but an armful of wool is a lot cheaper! 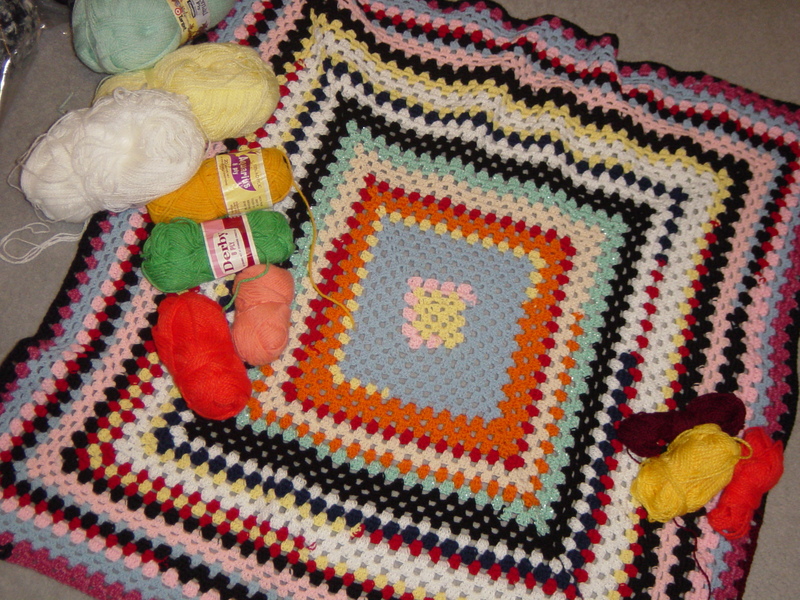 Its well known activities like crochet and knitting are relaxing, and it's also considered healthy diversional therapy, like other crafty activities and hobbies. The first rugs I made were a matching pair of lap rugs, which I made to pull over our legs in the winter. They're not too large to catch in the wheels of the computer chairs. I even got creative and gave them names to match their colour schemes. As David loves all things dragon, his is called "Dragons in the Woods", because it had a lot of brown in it. The red represents the fire breath. Mine is called "Roses in the Snow", because it's pink and white, and it's nice to remember flowers during the winter! These ones are made up of 5 round granny squares slip stitched together. 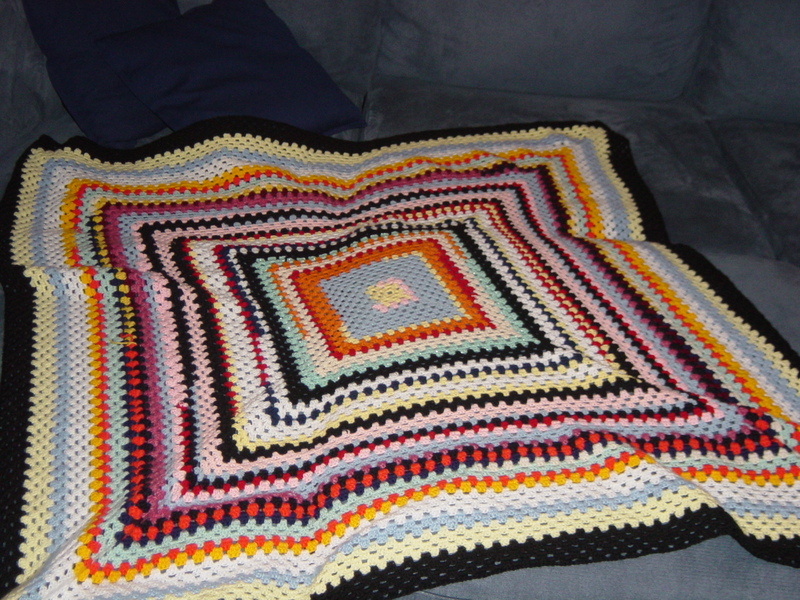 The third one I've made is bigger than the lap rugs, and I just called it a 'therapy rug'. I wanted to make a rug purely for relaxation, and didn't want the added pressure of planning the colours like the other two rugs. It's just made up of random colours of similar ply wool. When one colour ran out, I just chose a new colour. 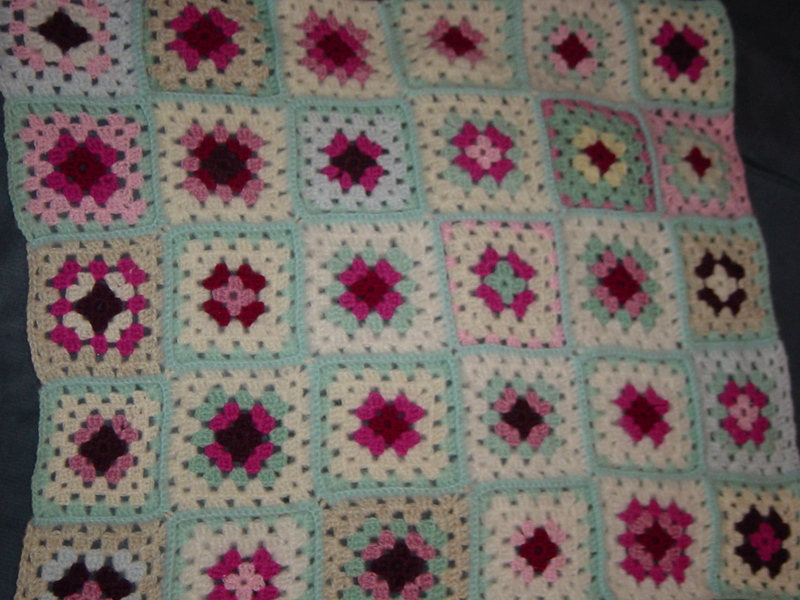 This is one big granny square, so not much thinking required, but the changing of the colours meant it wasn't too boring. 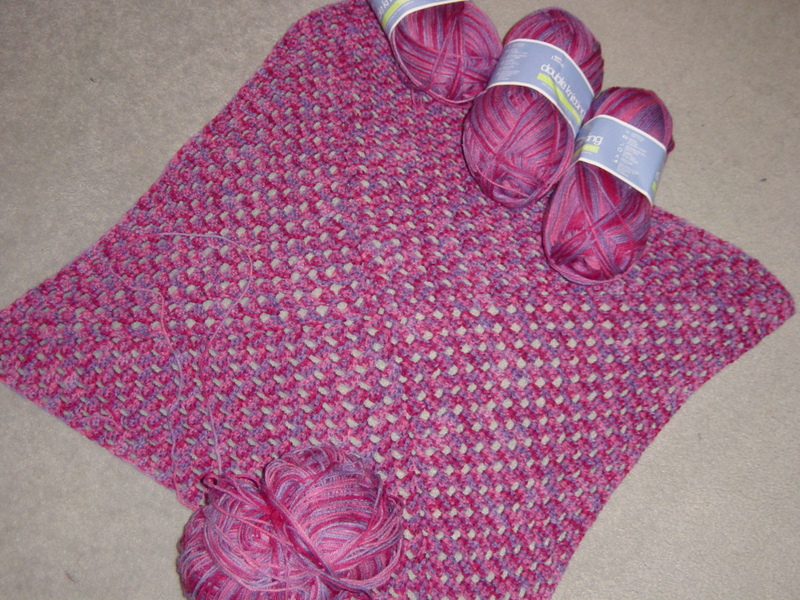 Since then, I've bought $10 worth of wool from lincraft on my birthday last year to make a 'birthday rug'. I am only up to the second ball of wool as I've kinda ran out of steam for that one. Having a big project in progress is good, as you can just grab it when you're watching some boring tv. I've got several projects in progress, starting them seems a lot more fun that seeing them through to the end! My best cure for hiccups. What is this Wretched Malady? ?